The failure to diversify makes the world’s favorite fruit vulnerable to a wipeout. The bananapocalypse is coming. That’s the likelihood that sometime in the next decade, bananas may disappear, victims of a fungal pathogen known as Panama Disease. The disease is on the march throughout the world, threatening the future of the world’s most popular fruit. Panama Disease may be the cause of this disaster, but it’s also a symptom of a bigger problem afflicting global agriculture: a failure to diversify. For the past couple of centuries, the tendency has been to adopt a single reputable cultivar and — literally — bet the farm on it. This particular potato proved remarkably productive. But it was vulnerable to a pathogen known as Phytophthora infestans, better known as potato blight. In 1845, the organism destroyed that year’s crop of Lumpers, and then raged across the rest of Europe. It’s estimated that a million people died of starvation in Ireland alone, with another 2 million people emigrating out of desperation. Despite this object lesson in the dangers of monoculture, farmers planting crops often favored a handful of trusted varieties. This was a rational choice, particularly for growers of crops destined for global markets, where economies of scale tended to privilege homogeneity over diversity. But this choice can end badly. And so it was with the banana. Though bananas come in hundreds of shapes, sizes, colors and flavor profiles, a single cultivar became the fruit of the masses in the late 19th century: the Gros Michel banana, otherwise known as Big Mike. This particular breed, which originated in Southeast Asia, became a star commercial crop. Big Mike had a lot going for it: enormous bunches of tasty, sweet bananas, resistance to bruising and an ability to stay fresh even when thrown in the sweltering hold of a ship. The big banana companies like United Fruit planted Gros Michel on sprawling plantations throughout Latin America and the Caribbean. Like most edible bananas, Big Mike was sterile, and growers propagated it by taking a cutting that would become the basis of a new plant. Each banana plantation, then, was populated not only with a single variety of banana, but with bananas that had the exact same genetic material as one another. This was monoculture taken to an extreme. At the very same time that this cultivar became the gold standard for banana connoisseurs, some of the plants began expiring , swiftly turning brown beginning with the bottom leaves and proceeding to the top, before the entire plant would topple over, dead. Though growers didn’t know what hit them at first, they eventually discovered the cause of the wilt: a fungus known as Fusarium cubense. Though it first surfaced in Australia, it devastated banana plantations in Panama, and soon the dreaded banana wilt came to be known as Panama Disease. It resisted fungicides, and once established in a plantation, it sowed devastation. Worse, soil contaminated with the fungus would remain toxic for decades, forcing growers to abandon prime plantation lands. Growers initially tried to outrun fusarium wilt, clear-cutting tropical forests and laying out new plantations to harbor their Big Mikes. But the fungus followed them. By the 1920s, banana shortages had become a growing problem (you can thank the fusarium wilt for that decade’s hit song, “Yes! We Have No Bananas”). The big fruit companies sought to find a replacement. United Fruit conducted extensive trials in the 1920s, but balked at the idea of introducing new varieties into the market. Consumers would only eat Big Mikes, the thinking went, and trying to change that would be the death of the company. United Fruit tried to protect the Big Mike. It flooded infected fields in the mistaken belief this would sweep away the fungus. Instead, it destroyed microbial competitors and the fungus returned with startling ferocity. Then a smaller company, Standard Fruit, seeing the writing on the wall, began experimenting with a new family of bananas. These bananas, known as Cavendish, had been named after William Cavendish, the Duke of Devonshire, who had secured a specimen of the cultivar around 1834. Cavendish, a serious horticulturalist, disseminated cuttings of the banana that would soon bear his name, and it soon spread throughout much of the world, even if it didn’t become a commercial cultivar. Like its aristocratic patron, the Cavendish was a bit of a hothouse flower: it bruised easily and could spoil in the hold of a ship. Standard Fruit nonetheless wagered that the Cavendish was the heir to Big Mike and devised cushioned boxes to protect the bananas from damage during transit; they also began using refrigeration to keep the delicate bananas fresh. Customers warmed to the Cavendish, though United Fruit remained skeptical. One executive in Honduras claimed that “varieties is a dirty word” when it came to bananas in big city markets of the U.S. Nonetheless, United Fruit bowed to the inevitable in 1962, ending its reliance on Big Mike. 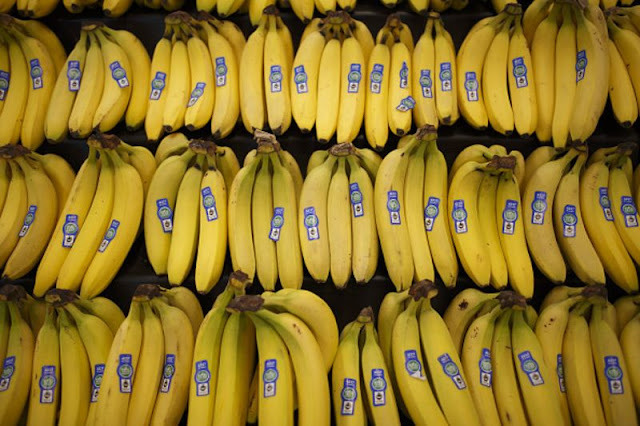 But rather than trying to diversify the banana market, they opted to go with the Cavendish family — and only the Cavendish — a strategy that the leading authority on the disease, Robert Stover, warned could lead to disaster if the Cavendish proved vulnerable to new strains of the fungus. Sure enough, a few years later a new variant of Panama Disease dubbed TR4 began wreaking havoc on Cavendish plantations in Southeast Asia. Now the demise of the Cavendish banana is only a matter of time. When that happens, the world will need a replacement. This time around, variety shouldn’t be a dirty word. The billions of people who consume bananas can tolerate a few choices. If growers can live with that, too, we’ll all be better off next time a crippling disease threatens our favorite fruit.